The DMW music group is back with a second single for the year following the release of “Mind” some weeks ago. For “Aje”, DMW’s latest single, Davido and Peruzzi are joined by Yonda and Fresh VDM, who produces, but also gets credited as a featured artist on the song. “Aje” is accompanied by a video filmed and directed by DammyTwitch in Dakar, Senegal. 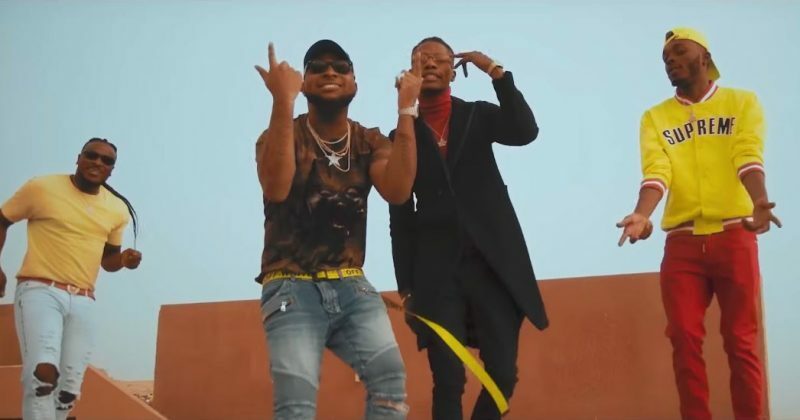 The video shows all four DMW members featured on the song, beginning with Peruzzi singing to his lover on the colourful streets of Dakar. Davido follows Peruzzi’s verse up with lines professing his love for the girl he sings on a rooftop on what seems to be a cloudy afternoon. Yonda anchors the final verse with the same aim of serenading a love interest with his lyrics.